The No. 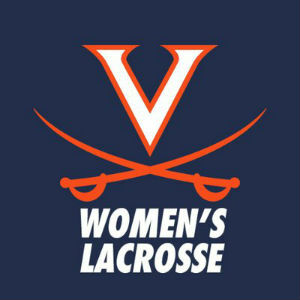 8 UVA women’s lacrosse team (8-3) picked up a 14-9 road win at No. 7 James Madison (7-2) on Wednesday (March 20). at Sentara Park in Harrisonburg, Va.
Senior Avery Shoemaker (Wyndmoor, Pa.) led the Cavaliers with five goals and freshman Lillie Kloak (Ridgewood, N.J.) scored four goals in the victory over the defending national champions. Junior goalkeeper Charlie Campbell (Lloyd Harbor, N.Y.) made 15 saves. Halle Duenkel scored three goals to lead the Dukes. Both teams took 33 shots apiece and picked up 18 ground balls. JMU held a 15-10 edge in draw controls. The Cavaliers broke a 3-3 tie by scoring five-straight goals in the first half and held an 8-4 advantage at halftime. The Cavalier defense kept the Dukes from scoring back-to-back goals in the second half, building up to the 14-9 victory.